Harry Potter star Daniel Radcliffe has been spending his days lately getting into character for his role in Jungle, adapted from the true story of Israeli adventurer Yossi Ghinsberg, a young adventurer who gets lost in the Bolivian jungle in the Amazon. To play the part, Radcliffe has had to live off one chicken breast and a protein bar per day, with coffee and cigarettes thrown into the mix. Needless to say, he was starving for most of those shoots. The result is a sallow looking, pale, and very thin Radcliffe, but getting the “skinny scenes” just right is important to him. He actually dieted for four weeks before the movie started production so that he could go in with the right look. He plans to celebrate finishing the skinny scenes by eating a chocolate bar. Going to extremes for a role is not new for the 27-year-old. He reportedly spent 41 hours filming under water for The Goblet of Fire. Harry Potter is the second biggest movie franchise of all time, but Radcliffe has added to his fortune since then with his estimated worth at about £74 million. The star says he hasn’t ruled out returning to the role, but it depends on the script and the circumstances. The British actor has been candid about his alcohol abuse during filming of the later Harry Potter movies, but he says he gave up drinking a month after filming the final installment because it was getting out of control, with the actor getting blackout drunk in public. He barely thinks about alcohol these days, but he has admitted to a relapse. Radcliffe used to take five-hour walks whenever he felt the urge to drink, but now he works out in the gym and goes running. He admits it is a cliché, but getting into exercise helped him with his drinking problem; he turned to exercising rather than alcohol. It is typical for the actor to work out every single day. Other normal things he likes to do are shopping at his local grocery store in London; he quite loves it, in fact, because it makes him feel as though he has accomplished something. However, he does admit to eating out a lot and going to restaurants. He even likes to go to the pubs, but he leaves once he sees others are there to get drunk. He can’t be around that as a recovering alcoholic. When not undergoing starvation for method acting purposes, Radcliffe eats food because he absolutely loves it, especially candy. His favorite dish to have for lunch or dinner is fish, more specifically, sushi. Other foods Radcliffe loves are sausage, pasta, and grilled vegetables. Greg McLean’s thriller Jungle is out in theaters sometime in 2017. “Daniel Radcliffe starved himself for role in Jungle,” The List web site, September 12, 2016; https://www.list.co.uk/article/84531-daniel-radcliffe-starved-himself-for-role-in-jungle/, last accessed September 22, 2016. Williams, Sally. “Daniel Radcliffe on alcoholism, starving himself, Harry Potter – and the day he fell in love,” The Telegraph web site, July 1, 2016; http://www.telegraph.co.uk/films/0/daniel-radcliffe-on-alcoholism-starving-himself-harry-potter—a/, last accessed September 22, 2016. 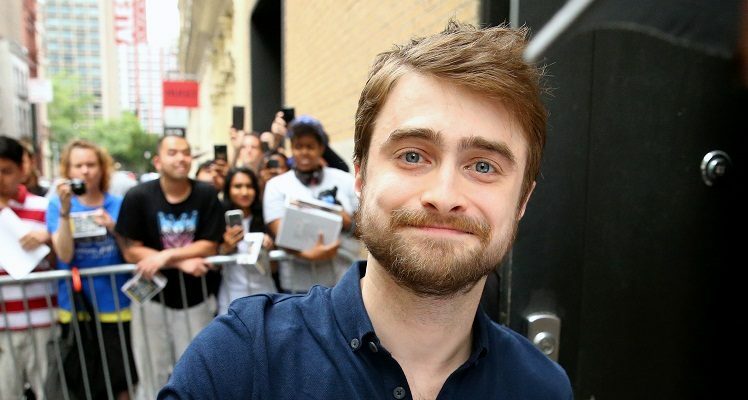 “20 Surprising Facts You Didn’t Know About Daniel Radcliffe,” Celebrity Gossip United Kingdom web site, July 1, 2016; http://uk.celebritygossip.com/12-surprising-facts-you-didnt-know-about-daniel-radcliffe/8/, last accessed September 22, 2016.